The next birth story to be featured is that of another close childhood friend of mine, Anna. She gave birth to her beautiful son Angus just a month and a half before I gave birth to Ella. We regularly swap stories and advice, she also serves as a morale booster for me because most of the things Ella is going through Angus has been there done that. 2. Were you early or overdue? Any predications on your due date and were they accurate? I was overdue by 3 days. My Hubby wanted baby to arrive late as he was due on the day of the Bathurst car race. I wanted him to arrive early but thought he would be late. Dunedin Hospital was our only option other than home so we planned to birth there. My birth plan was simple, I wanted a water birth with gas and air and my Hubby to be first hands on to catch baby himself. We wanted vitamin k administered immediately by injection and the placenta to be delivered soon after with an injection to encourage it. 5. 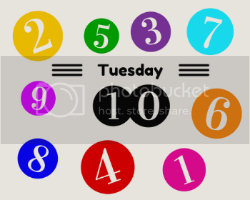 Did your birth go according to your plan? It's a long story, but basically I was in labour for 18 hours with my waters breaking at 8pm. I informed my midwife, contractions started soon after and were established by 9pm. 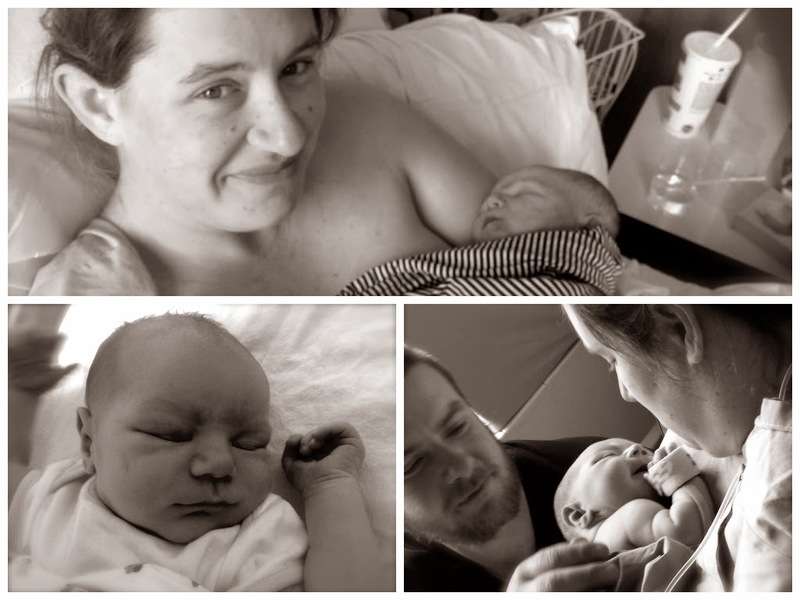 I contacted my midwife again at 1.30am when contractions were 5 minutes apart and at least 1 minute long, she came to our home and did an internal check and discovered my cervix was 4cm dilated but rushed us to hospital when she found that Angus' heart rate was dropping to 70 beats during contractions. When I got to the hospital they monitored me for an hour and I tried gas in air but I found it did nothing for me. I then tried the birthing pool but with no gas I was in agony as I had really bad labour pains in my back, I then requested an epidural - which is big for me as I hate needles. The epidural was administered at 6am but only worked on my right side as Angus' heart rate kept dropping when I lay on my back or on my left side, I even felt the catheter being put in when they had to push it past his head. The hospital team started discussing the possibility of a c-section around 7am so we called my Dad and he came to the hospital as added support for Jamie and I - he didn't even know I had gone into labour. Angus was in and out of distress so they ended up putting a clip on his head to monitor his heart rate. My midwife hit the emergency buzzer around 9am and they took cranial bloods from him, after yet another internal exam. My Mum arrived at around 10am and after a further three more internal examinations I was fully dilated by 10.30am and started pushing at around 11.30am. I ending up pushing for 2 hours but he was stuck for over an hour so the Doctor said he was going to attempt Ventouse or C-section (which I was mentally prepared for) with a slight chance of having to use forceps. They finally took me through to the antithetic room at 1.38pm and pumped more drugs into me through my epidural, and then without any warning the Doctor pulled out the forceps (which he didn't discuss with us even though Angus wasn't in distress anymore), gave me an episiotomy and pulled Angus out. Angus stopped breathing when they placed him on me and they were hitting emergency buzzers straightaway, he then had to spend the next 3 hours in the NICU. I had a fourth degree tear, the whole way through, which took them over an hour to stitch. I had no idea whether Angus was alive or not for the first 45minutes after birth. Post delivery, I ended up with a painful infection two weeks later and with a lot of complications - things still aren't right 5 and a half months later! 6. Did you have a natural birth or a c-section? Forceps delivery, with an episiotomy without informed consent. 7. Did you have/need medical intervention? I had an epidural and Angus had a clip attached to his head to monitor heart rate and I ended up having an episiotomy with forceps delivery. 8. How do you feel after the birth and did it go according to plan? It was traumatic and life altering. I love my son but resented my doctors and the hospital after my delivery and it took a long time to come to terms with it. It was an emotional roller coaster which I wasn't prepared for. I have since laid a formal complaint with the hospital about the attending consultant doctor. 9. What are the top 5 items you packed in your hospital bag that you couldn't have done without or wish you had packed? Nursing singlets, huge but comfortable PJ pants, my own swaddles, basic toiletries and a pillow from home. 10. What's one piece of advice you could offer to any Mum preparing for child birth? Anything you REALLY don't want or are scared of tell your midwife and veto it! I was terrified of a forcep delivery and tearing and I those were the two things that happened! 11. Is there anything you would do differently next time? Be more specific on my birth plan and not sign a form basically allowing doctors to perform a forceps delivery, tell those most important that I was in labour (parents) and to sleep as soon as my waters broke. Thanks for sharing your story Anna. It's awful that you had such a traumatic experience, labour and birth is hard enough without the added trauma. 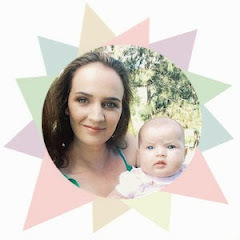 If you would like your birth story featured on the blog you can contact me at akiwimumma@gmail.com.